The Wholly Guacamole® brand, America’s No. 1 selling branded pre-made guacamole dip, is ready to satisfy the cravings of grill masters and grilling enthusiasts everywhere with creative grilling recipes to match the growing trend in guacamole usage extending far beyond the chip. 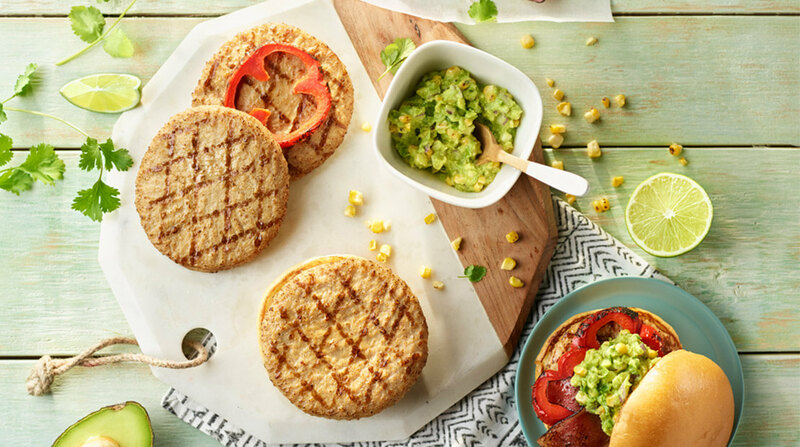 As many guacamole fans head outside to enjoy the sunshine, the Wholly Guacamole brand offers countless creative uses for guacamole that go beyond the chip. While many consumers like eating guacamole with Mexican food and chips, devout fans and savvy avocado consumers know the green goodness extends far beyond the dip table, especially for those sunny outdoor celebrations from Memorial Day through Labor Day. In fact, according to the Wholly Guacamole brand annual survey, 34 percent of consumers like eating guacamole on hamburgers and 37 percent of consumers like eating it on a salad. If you think guacamole is just for chips – a favorite for 87 percent of consumers – think again! Wholly Guacamole dips served cold make a great addition to outdoor grilling, barbeques and picnics. Like homemade guacamole, hand-scooped Wholly Guacamole products are made with all natural, gluten free and dairy free ingredients, and they are full of monounsaturated fats. Big on flavor and nutrition, they are a great replacement for mayonnaise or ranch. Whether for grilling, picnicking or munching indoors, Wholly Guacamole products can satisfy any craving ranging from classic to spicy guacamole. A variety of flavors, including Wholly Guacamole Classic dip and Wholly Guacamole Spicy dip, are available in 2 oz. mini containers that are perfect for the solo snacker as well as 8 oz. and 16 oz. packages for larger groups. Wholly Salsa® flavors and bean dips are available in 10 oz. containers. Spam Is Making A Comeback At Hip NYC Restaurants It’s been a long and unlikely journey from Spam’s humble origins to a special featured at a trendy Brooklyn restaurant. In partnership with W5, the makers of Wholly Guacamole® products fielded a quantitative online survey between February 12 and 24, 2014. The resulting sample was made up of 1,214 refrigerated dip consumers, between 25 and 50 years old. Wholly Guacamole® is a brand of Fresherized Foods, one of the largest manufacturers of pre-prepared, guacamole for both retail and food service in the country. A global leader in food safety, quality and innovation, Fresherized Foods was the first to introduce and use High Pressure Processing (HPP) of avocados— or Fresherized® technology—to create their line of Wholly™ products. For more information, visit www.eatwholly.com and Wholly Guacamole brand on Twitter, Facebook and Instagram.